time for another Miniatures Unpacked it is. 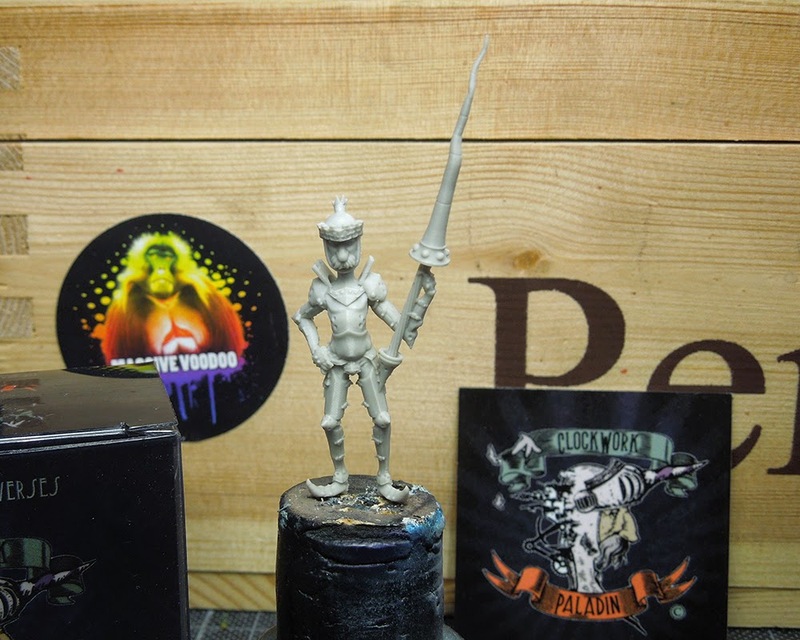 This time we are taking a closer look on a very funny model by the company "Clockwork Paladin" from Italy, called "Sir Ramonus, fallen Majorana Knight". 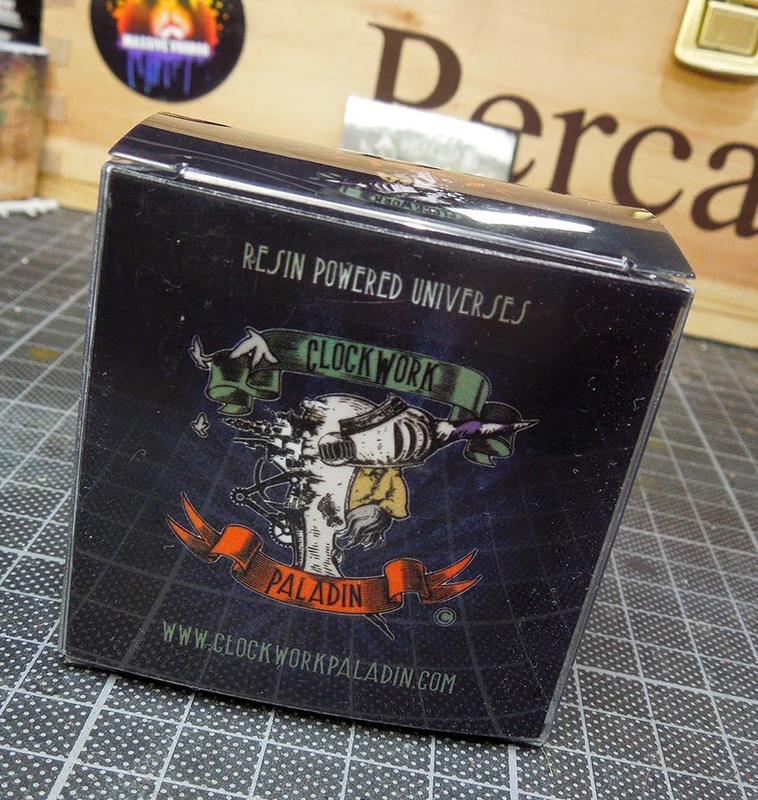 The figures from Clockwork Paladin arrive in a cube-shaped box. The figure itself is in that box inside a zip bag, no foam inside to keep everything in place, but the box is pretty small and solid. No damage occoured to the model itself while traveling. 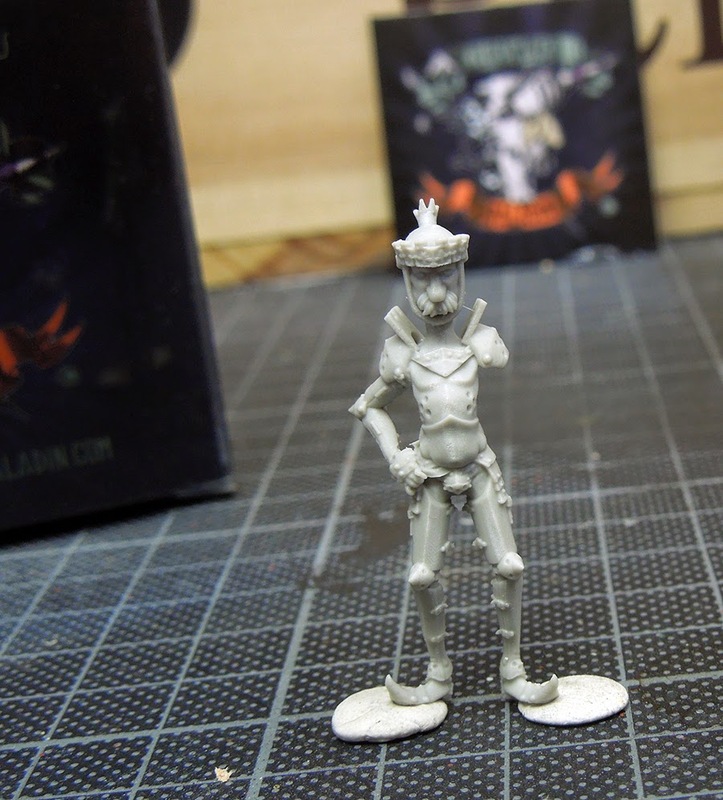 Opening up you find a three part resin model in 30 mm, cast in high quality resin. Right now let the model speak to you. Yes, it is something different. It is not a realistic sculpt but a very funny and characterful one. 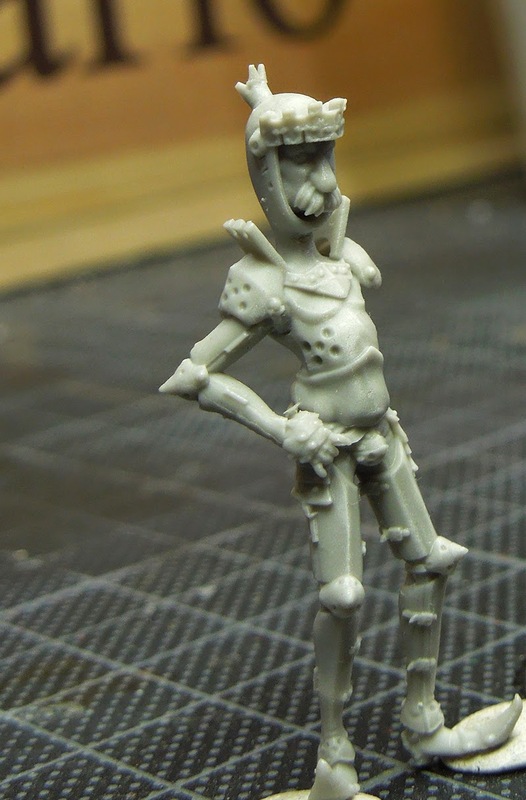 You recieve the main body as one part, his left arm and the tip of his lance as extra parts. Cleaning the model was pretty easy. Not many mould lines, a little resin rest from the cast here and there but the whole was cleaned in five to ten minutes. Very cool. Well, the next photo shows him uncleaned yet. Extra Arm and Lance were easy to attach. We did change the angle of the arm a bit compared to the original version of the model as we liked it that way. ... and a close up. Just check his crown, he is truely a king. Like imagined he was fun to paint too. 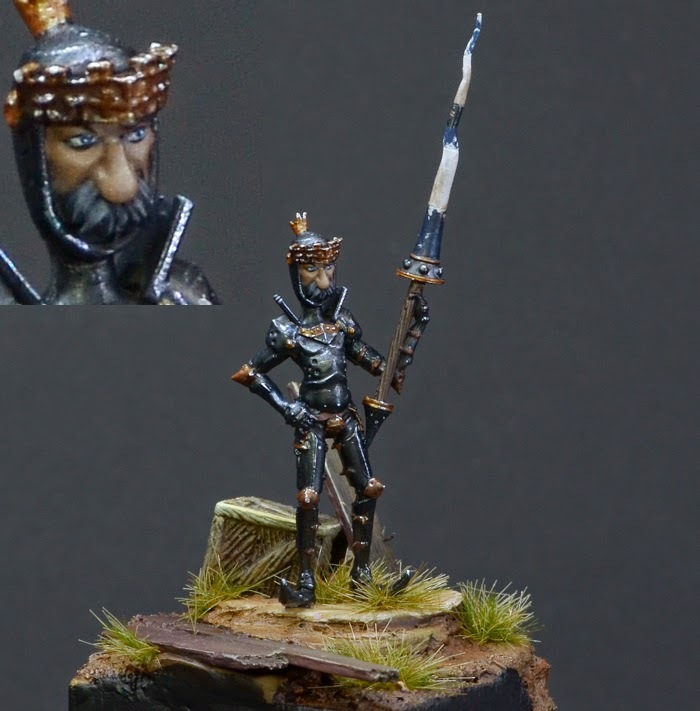 Roman did paint the model up for fun in full-dark-combat armour. A very cool and mainly funny sculpt by Valerio "YRO" Terranova. Well done, thanks for the painting fun! 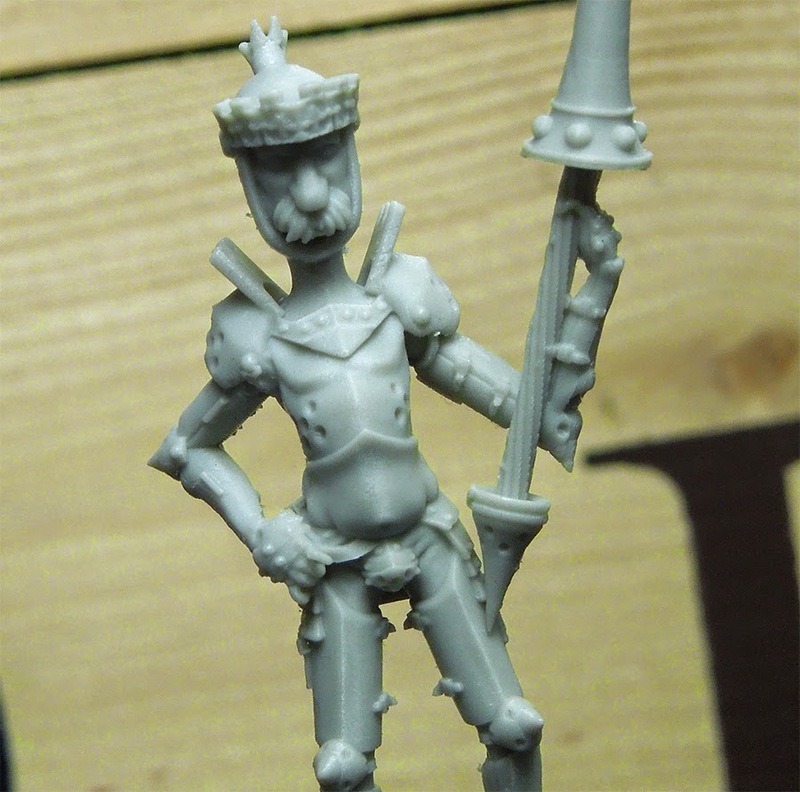 More photos of Sir Ramonus soon! 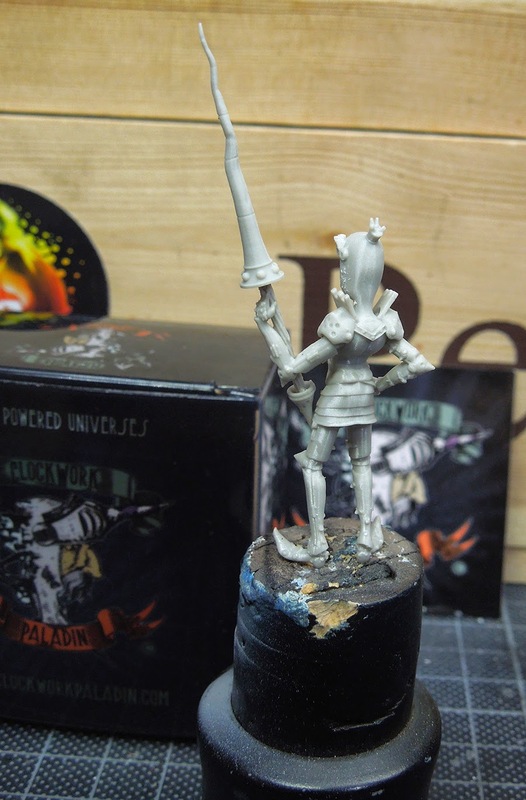 If you want to check Clockwork Paladin for their miniature offers - click here!